The news that Theresa May is trying to woo certain Labour MPs with promises of additional funding for the areas they represent, in return for their support of her ‘EU Withdrawal Agreement’, has raised a few eyebrows amongst citizens and local representatives across England’s less advantaged areas. There are a number of reasons for this. An ‘austerity tale’ of North vs South? Firstly, it came in a week when new research from the Centre for Cities again emphasised what local authorities and communities across the nation already know from daily experience – that the burdens of austerity, far from being distributed according to the dictum of “we’re all in this together”, have been strongly socially regressive, hitting some of the less advantaged places and people hardest. The largest real-term falls in total local government spending in the 2009/10 to 2017/18 period have hit towns and cities in the north of England, which have on average seen a 20% reduction in their budgets. In contrast towns and cities in the South West, East of England and South East (excluding London) have seen cuts of only 9% on average. Reflecting this tendency, the University of Liverpool’s home city has seen a real term decline in day-to-day council spending of 32% since 2009/2010 – the second largest percentage fall after Barnsley. This equates to a loss of £441 million a year since 2009/10, equivalent to £816 less for every person in the city – the biggest cut per resident nationally. This level of cuts mean that once local authorities have allocated support to services such as social care there is little left for spending on other things such as planning and development. Our more disadvantaged places are thus hit by a double whammy – the immediate difficulties of keeping crucial services going and things like fixing the holes in the road, and a constrained capacity to act in the interests of the medium and long term development of their areas. It is all a long way from the rhetoric of local empowerment and autonomy which characterised the 2010 – 2015 Coalition government. And what price the ‘devolution deals’ which have been agreed for some wider areas like the Liverpool City Region in the face of such deep cuts to the budgets of some of their local authorities? Secondly, this is all set against a backdrop where the UK government’s policy of taking the UK out of the EU is predicted, including by its own studies, to hit many less advantaged regions hardest. 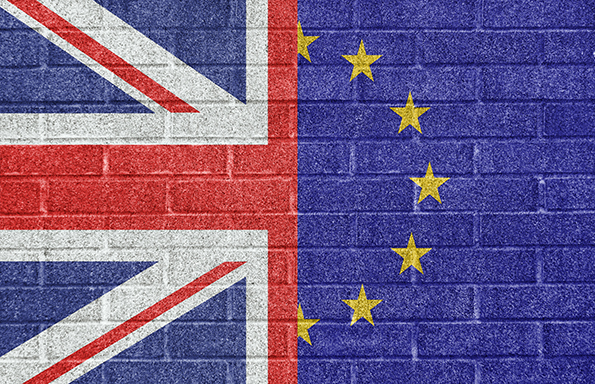 With growth over the next 15 years under any kind of ‘Brexit’ expected to be less than if the UK remains fully within the EU, many such areas, including many which voted ‘leave’ in 2016, will potentially be the most negatively affected economically. Any inducements offered to their MPs in return for supporting May’s deal need to be set alongside such considerations. Thirdly, the EU’s regional policy has previously provided an important source of support to less favoured regions – including through initiatives for areas such as the former coalfields, which will not be available in future if the UK leaves. There has so far been little indication of how much support a proposed replacement UK fund may deliver, but this week a clearer picture emerged of the potential funding such areas could receive from the EU regional policy post-2021. Work by the Conference of Peripheral and Maritime Regions (CPMR) suggested that if the UK remains in the EU it could be in line to receive around €13 billion euros of regional development funding between 2021 and 2027. This would be equivalent to a 22% increase compared to the current 2014 to 2020 funding period – a result of the sobering fact that, once again, many areas of the UK are falling behind the EU average in terms of regional prosperity. Furthermore, internal regional disparities (the difference in prosperity level between regions) have also increased in the UK in recent years. All this means that areas like Cornwall and the Isles of Scilly West Wales and the Valleys, South Yorkshire, Tees Valley & Durham, and Lincolnshire could receive EU regional funding of over €500 euros per person per year. And reflecting one of the often cited advantages of EU regional funding this would be committed over a multiannual period from 2021 to 2027. Any expedient ‘deals’ with certain places in return for short term political support would seem to be a poor substitute for this kind of longer term and strategic needs-based regional policy. Confidence in any such support may also be tempered by the track record on austerity discussed above. Some locally will also remember how in the 2014 -2020 round of funding, the UK government chose to allocate Merseyside €202m(£167.835m) of funding, when the European Commission suggested the area should receive around €350m (£290.147m). An approach described by Liverpool Mayor Joe Anderson as “Robin Hood in reverse – taking from the poor to give to the rich”. In light of forecasts of the regional impacts of leaving the EU, and the continuing opportunities that post-2021 regional policy could offer to the UK’s less advantaged areas; the MPs who are being courted by Mrs May might well still best serve their constituents and areas by making the case for the UK remaining a full member of the EU.